REWARD Missing dog between alley of F street and G street in Sparks. He got out January 19th around 9pm. 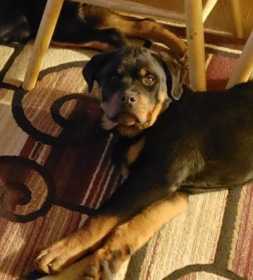 He was last seen with a blonde female on 16th and C street in Sparks, NV Male Rottweiler if found and spotted please call 775 843 9227. We have filed a police report.